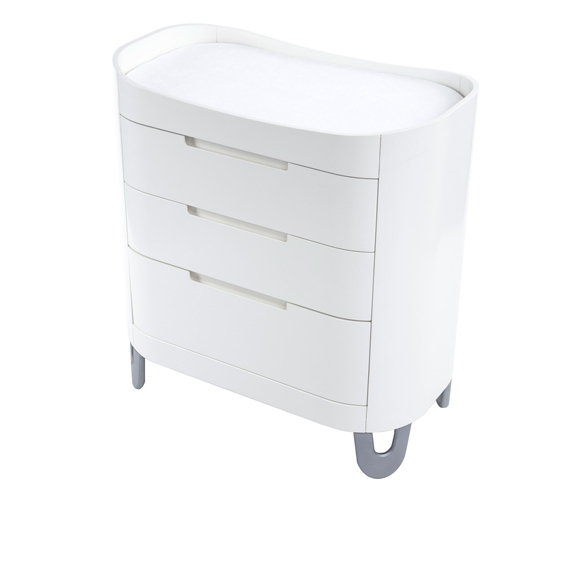 Echoing the soft flowing contours of the Gaia Complete Sleep, this contemporary styled Dresser & Changing Unit will complement any nursery setting. 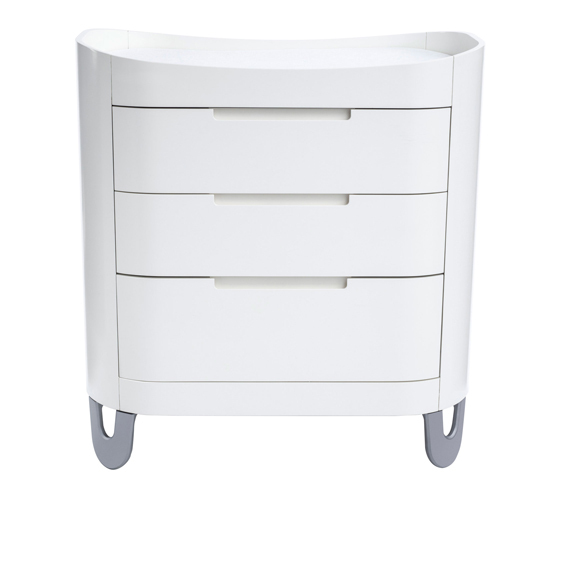 Made of the finest quality birch wood featuring soft-closing drawers and contrasting aluminium feet. 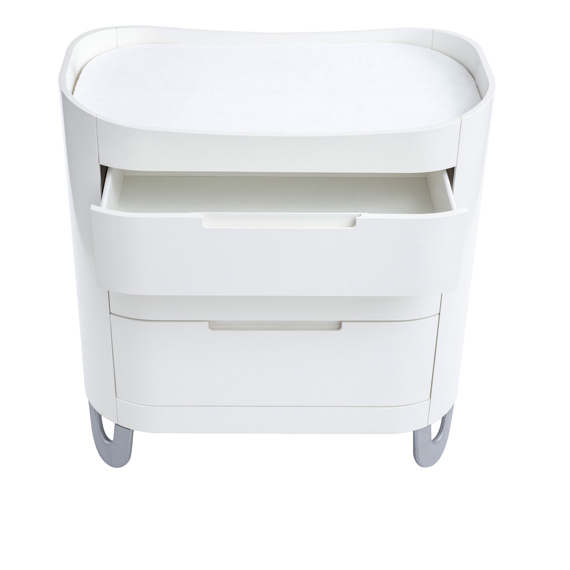 Added rim for safe and secure changing top. 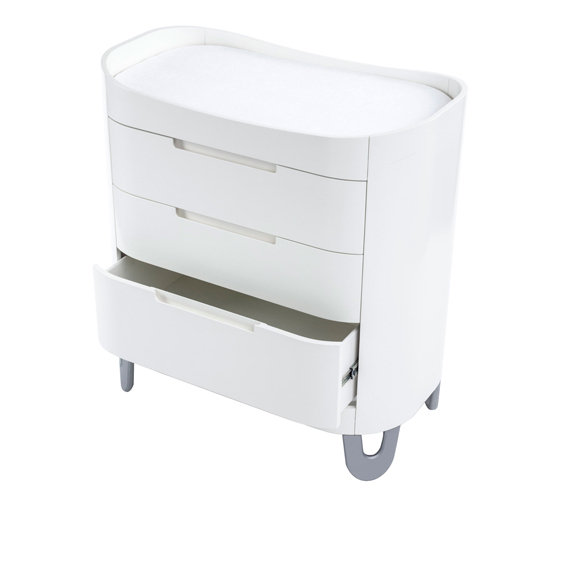 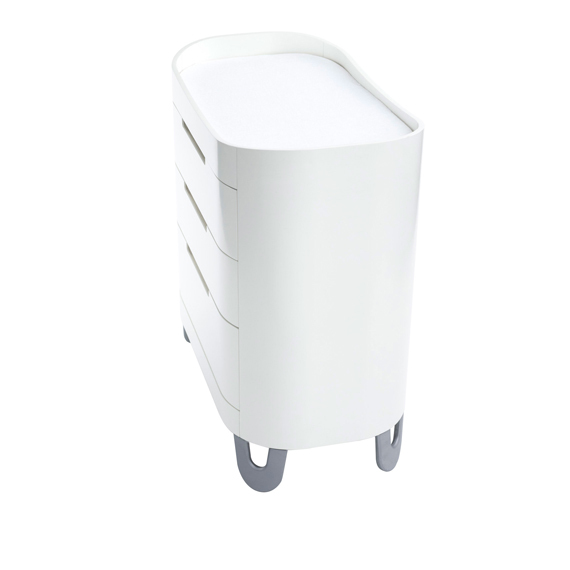 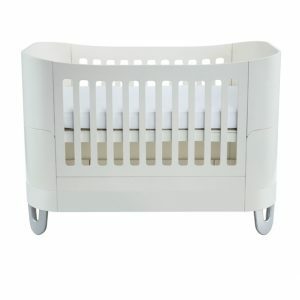 Softly contoured lines & aluminium clad feet beautifully complement your Gaia Baby nursery.